Fall of a high school student’s senior year means familiar faces, sporting events, and college applications. Some high school seniors are tempted to kick back and just enjoy the final year of high school, while others are running so many directions stressed about college, they can’t keep their priorities straight. Wherever you fall on the spectrum, take a deep breath and get organized. 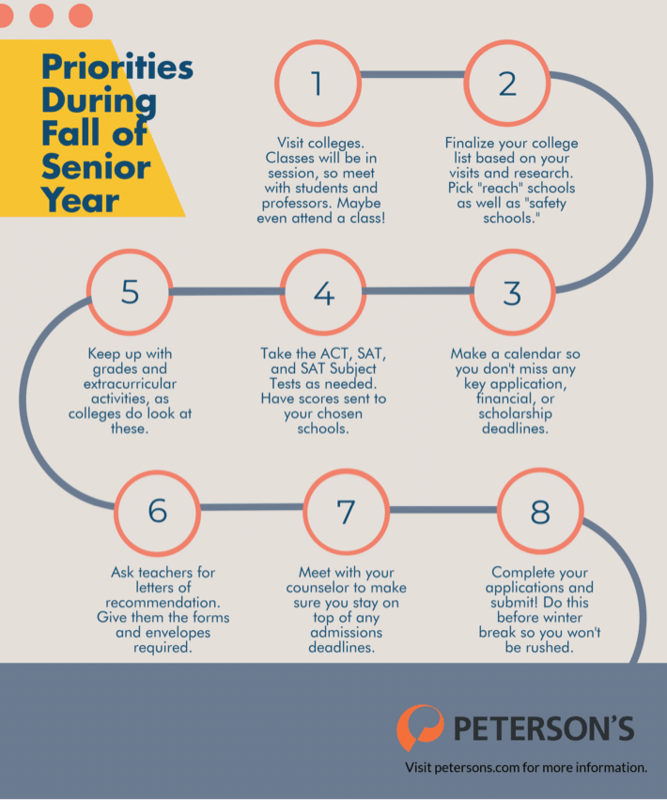 We’ve listed out eight priorities in chronological order for fall of your senior year. 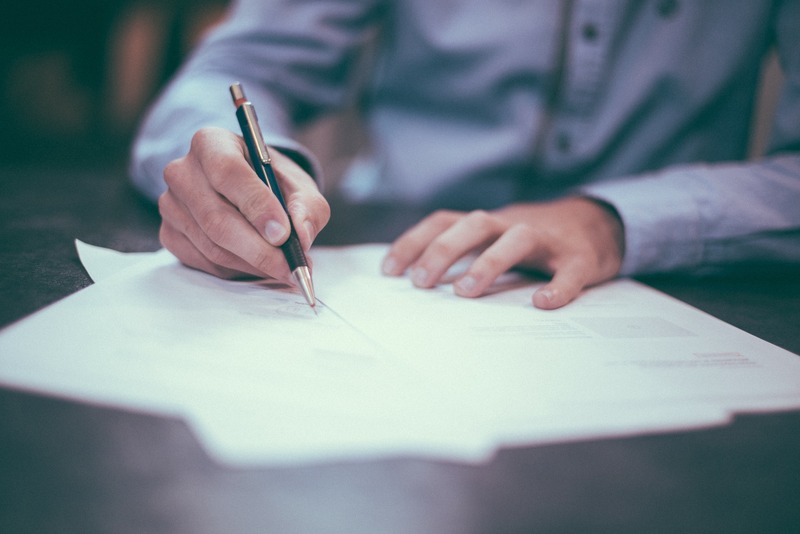 Download our infographic to help you understand these important steps towards higher education and stay on top of them so you can submit your applications with confidence. Want help choosing a college? Read: It’s not About the “Best College”. It’s about Choosing the Best College for You.